JANET MEFFERD TODAY to premiere on Sept. 14! That’s right – I’m coming back to Christian radio! 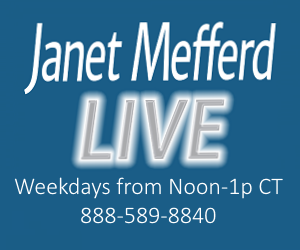 Starting Sept. 14, I’ll be hosting Janet Mefferd Today, a daily Christian talk show that will cover the news and issues we all face in the church today from a decidedly biblical perspective. We’ll have up-to-date coverage of the latest news and cultural developments, key interviews with some of the biggest newsmakers and Christian thinkers, scriptural analysis on the key issues affecting the church – and, naturally, a few surprises along the way! Above is the station preview demo we’ve put together. 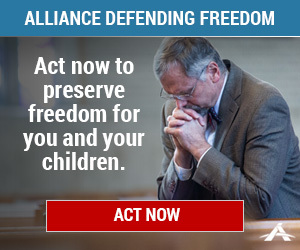 If you’re interested in hearing Janet Mefferd Today in your area, please let the staff at your local Christian radio station know by sending them this link: http://www.ambassadoradvertising.com/our-partners/janet-mefferd-today/. We are very busy behind the scenes, getting ready for our launch, but we will keep you posted on continued developments as we gear up for Sept. 14! You can stay on top of the show news with us by visiting us here at our website, on our Janet Mefferd Facebook page and on Twitter (@JanetMefferd). Thank you again for all your continued support and prayers. We are so grateful for you and, most of all, grateful to the Lord for the renewed opportunity to stand for Him and His gospel!